There is a plague of wild cats around the Cape Sanctuary. This is a huge issue because the sanctuary is a working farm, and the wire does not go down to the waters edge where the fence gets close to the sea. 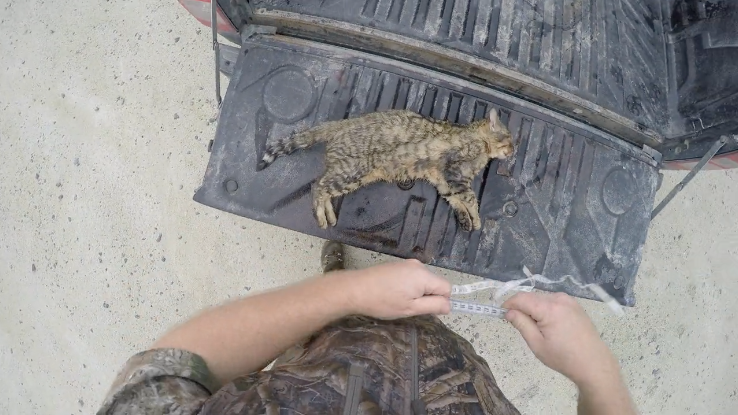 A few weeks back there were 27 cats caught in live traps, including a handful inside the wire. This cat was close to the track and was not as on to it as many cats as it took a while to load the gun and get the shot away. The Morgan Score of this Molly was 132, so it is not a huge cat but it is out of the biosphere so it is a good cat.